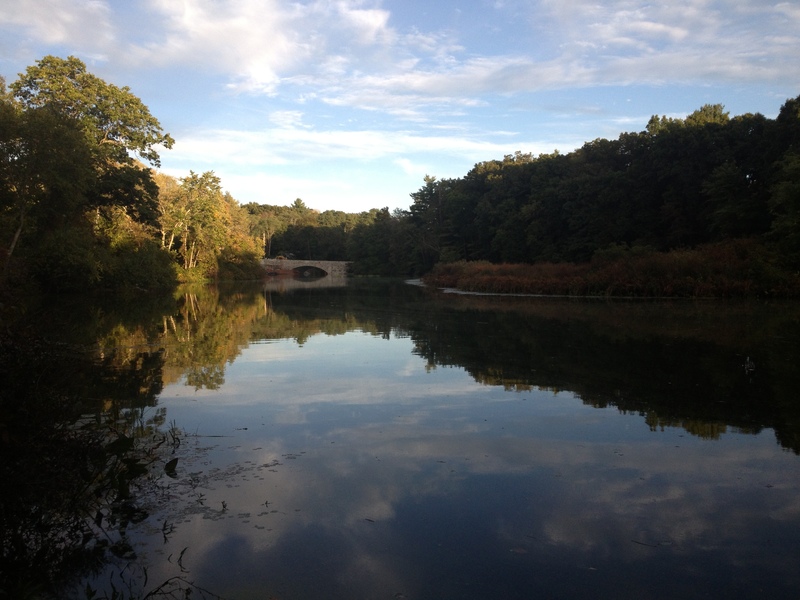 Charles River Peninsula - Needham, MA - Take a day trip! Charles River Peninsula is a lovely 32 acre Trustees of Reservations Property in Needham located just a few short minutes from Route 128/I-95 via exit 17 (Route 135). It’s essentially a large meadow that is surrounded on 3 sides by the Charles River. It’s a surprisingly peaceful and bucolic spot for being located so close to a major highway (though you can still hear the highway in the background). 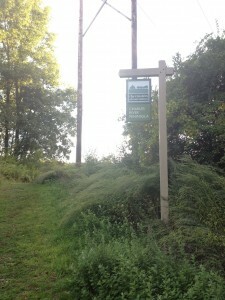 Trail Entrance sign at the Charles River Peninsula in Needham, MA. a mile long. It has lovely views of the area with several spurs off the trails to interesting spots. Cross Country Skiing and Snowshoeing: The hiking trail here is a fairly gentle loop and a great place to cross-country ski or snowshoe if there is sufficient snow. Fishing: Freshwater fishing is available on the Charles River around this property with the appropriate permits. Canoeing/Kayaking: There is a state maintained and owned boat launch right next to the parking area for this wonderful facility. Bird Watching: Bird watching is a great way to spend some time at this Trustees property with the combination of woods and meadow areas with a transition zone that allows for several different environments for different species of birds. Picnicking: The large meadow area here and parking area make for a decent picnicking area, however be careful where you sit down as there can be a large tick population and a risk of getting Lyme Disease if you don’t check yourself for ticks frequently. There aren’t any facilities here beyond a state maintained boat launch and parking facilities so don’t expect restrooms. However, Downtown Needham and there are many restaurants nearby. This property also doesn’t charge an entrance fee however if you’re using it a lot the Trustees of Reservations, who owns and operates this property, maintains a lot of great places in Massachusetts. Think about becoming a member or making a donation to support their mission and your recreation opportunities near home.